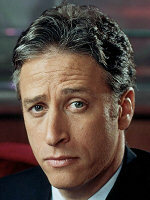 Strangely enough, it looks like there is room in the regular cast of "The Daily Show" for only one Jew: the host Jon Stewart. You see, none of the correspondents that appeared on the show for an extended period of time are Jewish. Not the current batch of Jason Jones, Samantha Bee, John Oliver, and Rob Riggle. 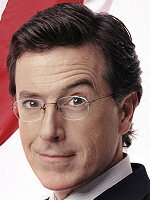 Sadly, not Stephen Colbert or Steve Carell. 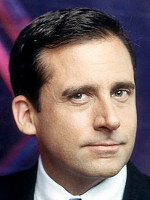 Not Ed Helms, Rod Coddry, Vance DeGeneres, Mo Rocca, Nancy Walls, Matt Walsh, Beth Littleford, Dan Bakkedahl, Stacey Grenrock-Woods, or Brian Unger. Not Rachael Harris. At this point, we would have taken Rachael Harris! 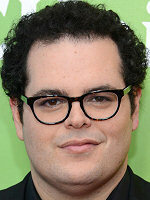 To find a Jew, we need to go past correspondents and draft long-time contributor Lewis Black. 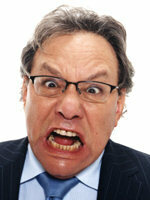 And don't get us wrong, we like Lewis Black, especially all the anger. 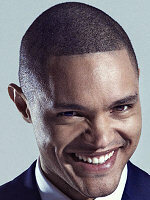 But he often goes months between "The Daily Show" appearances. And he is not exactly a spring chicken. Seriously, Jon. If you ever need a Senior Jewish Correspondent, the Jew or Not Jew staff is available.